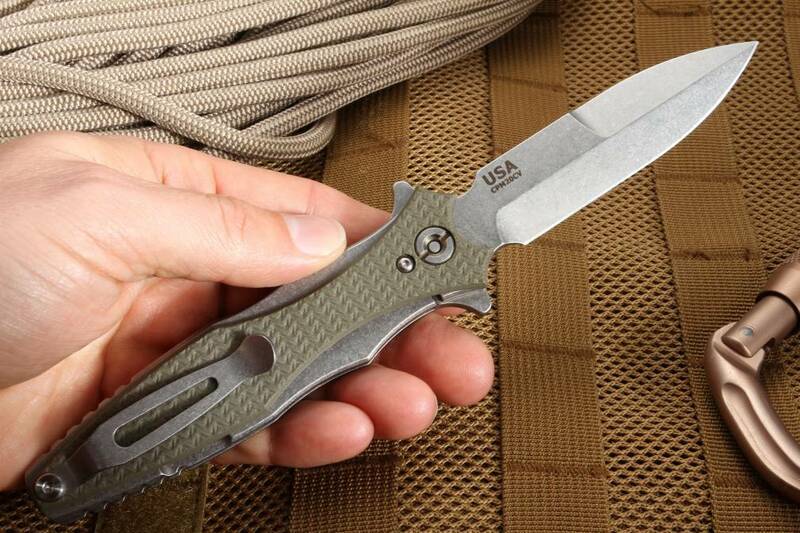 Hinder knives Maximus folding dagger in OD green G-10 with a CPM 20CV blade. 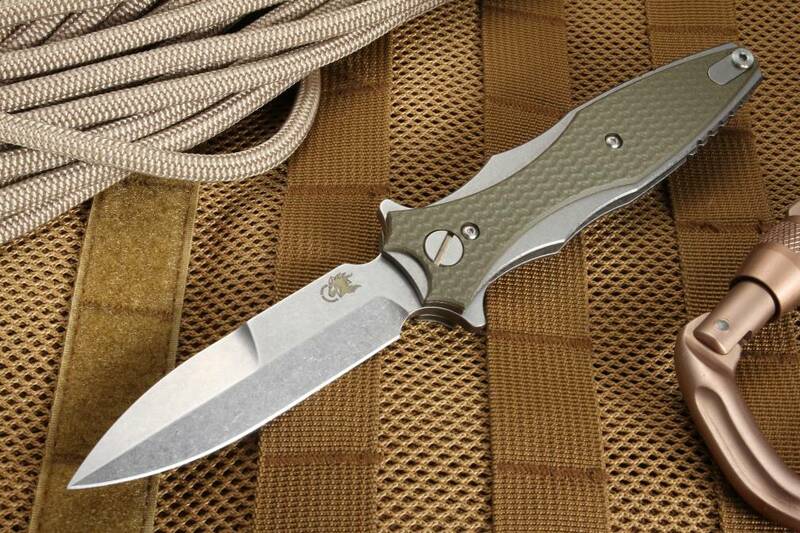 The blade on this Hinderer folding dagger is a bayonet grind dagger shape, the top edge is not sharpened. Integral flipper for easy right or left-hand operation. The blade has a fine stonewash finish. To close the knife, use the flipper/guard. 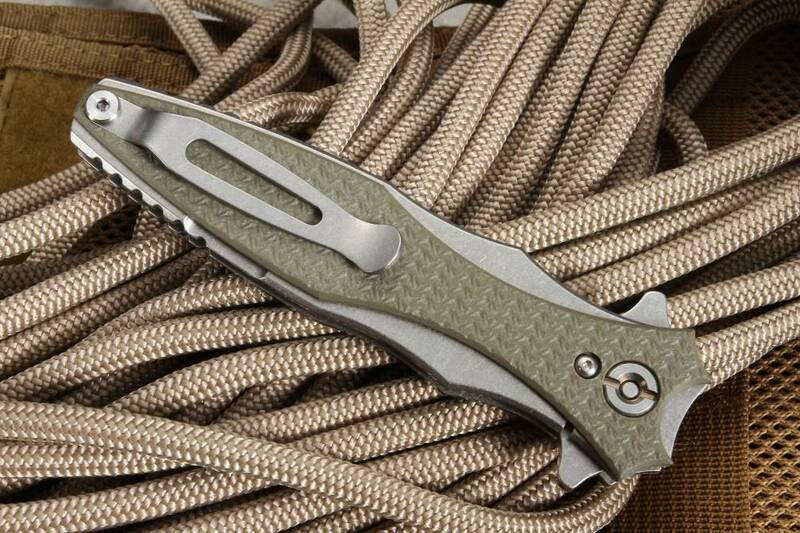 The handle is a thick liner locking titanium and OD green G-10. 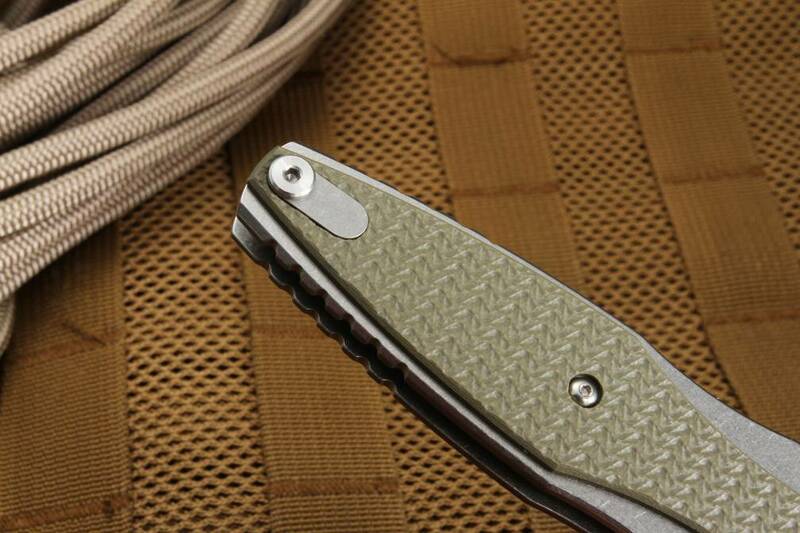 The textured OD green G-10 handle scales also act as a lock bar stabilizer. 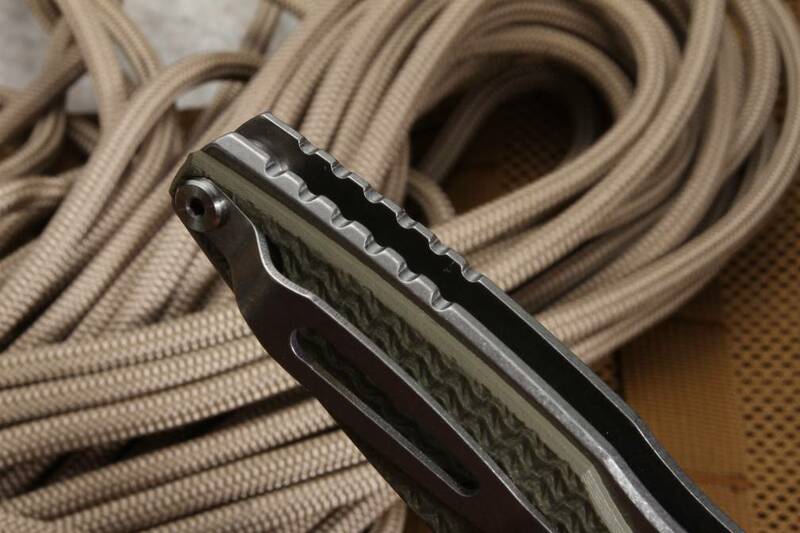 Stonewashed titanium pocket clip can be mounted on either side of the handle for right or left pocket carry.